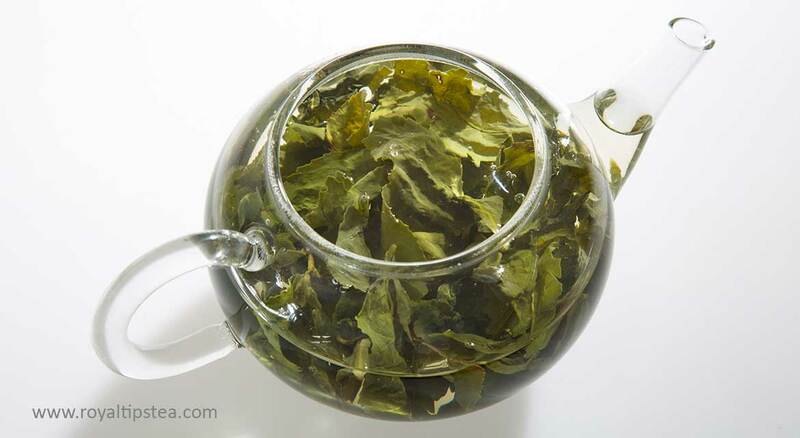 Oolong tea is one of the six types of tea produced from the leaves and leaf buds of Camellia sinensis, the tea plant. 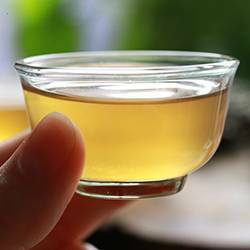 It can be vibrant and refreshing like green tea or intense and full-bodied like black tea. 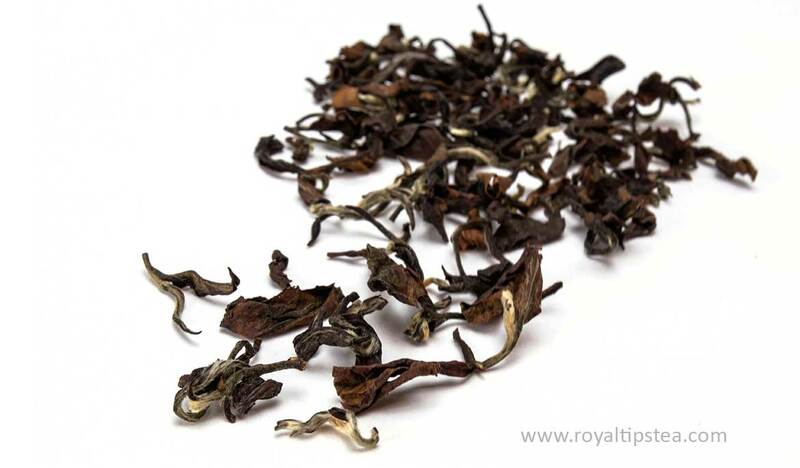 The first thing to describe in an oolong tea is its amazing natural fragrance that makes these teas so unique and sought after. Oolong teas lie between the non-oxidized green teas and fully oxidized black teas, so they are considered semi-oxidized or partially oxidized teas. Although oolong tea undergoes oxidation, the process is deliberately stopped before the leaves are fully oxidized , and the degree of oxidation varies depending on the oolong tea variety. 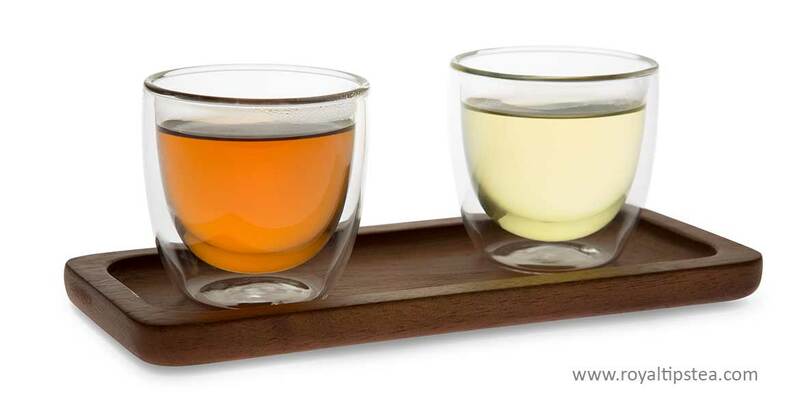 Whereas the highest quality green and black teas are made from young tender leaves, premium oolongs are manufactured from more mature tea leaves (up to the third or fourth leaf) which are plucked late in spring, together with the stem that connects them. Why would a tea made of mature tea leaves become so popular? The answer lies in the extraordinary complexity of flowery and fruity flavours and the intense perfume-like fragrance that oolong teas are so famous for. 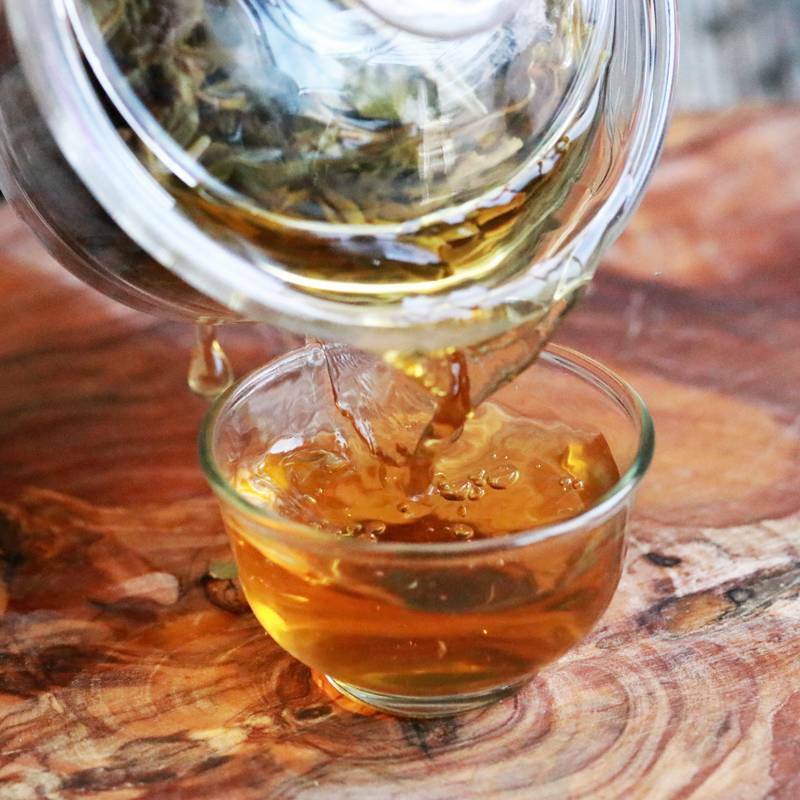 The complex biochemical changes, which occur during oolong tea manufacturing process, transform some of the taste compounds into aroma compounds, and the best oolong teas are those that reveal a perfectly balanced combination of both taste and aroma of the tea liquor. All oolong teas undergo a processing step called bruising, which consists of damaging the cells around the edges of the tea leaves to induce oxidation, but, at the same time, keeping the tea leaves whole. Mature leaves are therefore easier to bruise as they are more resistant and will not tear apart or break during the processing. This particular manufacturing technique is responsible for the creation of volatile compounds, such as methyl ester and linalool oxide, that contribute to the unique aromatic profile of oolong teas. The production of oolong teas is thought to have started towards the 17th century in China, and, during the Qing dynasty, spread to other Chinese provinces. Combining the characteristics of both green and black tea, Anxi tea makers created the world’s famous Anxi Tie Guanyin oolong tea at the beginning of 18th century. Nowadays, oolong tea is produced in many tea producing countries across the globe, although the most extraordinary ones are known to be produced in China and Taiwan. Amongst the most distinguished oolong tea producing areas there are Minnan region (also known as Southern Fujian), North of Fujian famous for their ‘rock' oolongs, such as Da Hong Pao, which have a mineral, wet-stone character that comes from the rocky ground on which they grow; Guangdong province that gave birth to an amazing variety of Phoenix Dan Cong loose oolong teas ; and Taiwan, where Oriental Beauty, one of the most intriguing oolong teas, is manufactured. How is Oolong Tea Made? Withering (sun drying) is the first processing stage of oolong teas, and the leaves are first spread out in indirect sunlight. The captured light energy during the withering process causes water to evaporate from the tea leaves, facilitates enzyme activation and helps to catalyse complex chemical reactions, such as building amino-acids and polysaccharides (multiple sugar chains). 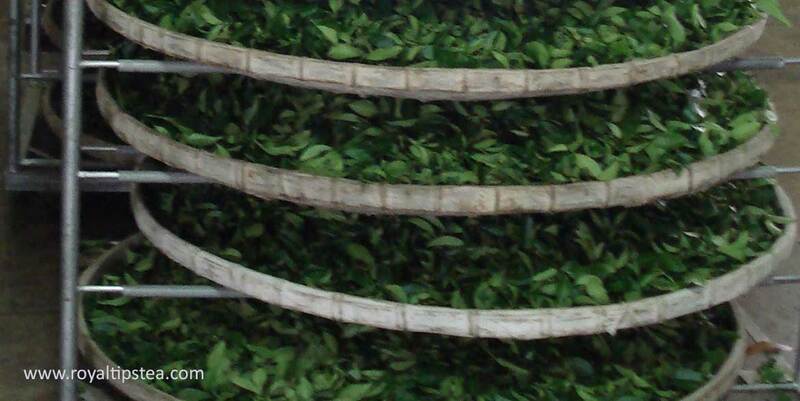 This enhances the tea´s sweetness and prepares the leaves for further processing. Once the tea leaves have lost enough of their water content, they are taken indoors for further withering and cooling, so that their temperature can even out and further flavour compounds can develop. This is when the bruising process starts. The tea master places a quantity of limp tea leaves on a big, round bamboo tray and starts shaking the leaves, tossing them into the air and catching them again, so that they agitate and gently hit against the basket. The leaves are also tumbled in large bamboo drums. These sophisticated, almost ceremonial movements and gestures were found to accelerate partial oxidation. The idea behind it is to damage the leaf cells only around the edges of the leaf, which turn reddish-brown as they start absorbing oxygen, and highly reactive polyphenol compounds start to enzymatically oxidize. As soon as the desired level of oxidation is reached, the enzymes are de-activated by applying heat. 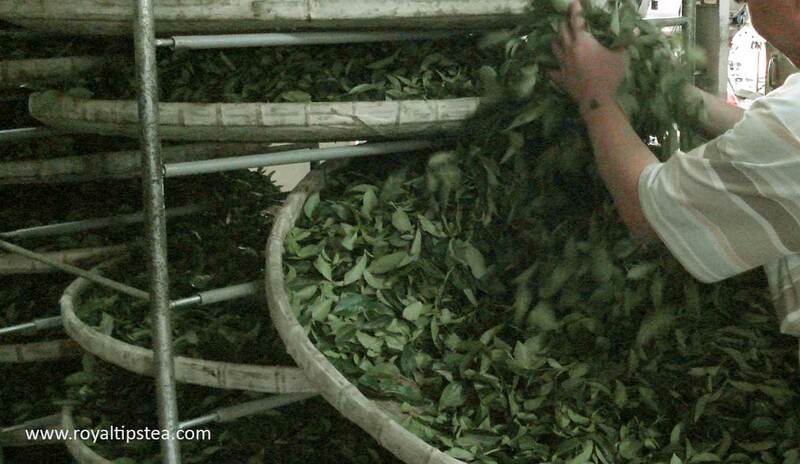 This process is called fixing and it is done by panning the tea leaves in a hot rotating drum. Next, the tea leaves are slightly twisted or rolled into a ball shape. The rolling is done to break the cells of the leaf and to develop flavour. The tea leaves are then dried to reduce to the remaining moisture content to a minimum and, in the case of premium oolongs, the stems are manually removed to reduce bitterness. 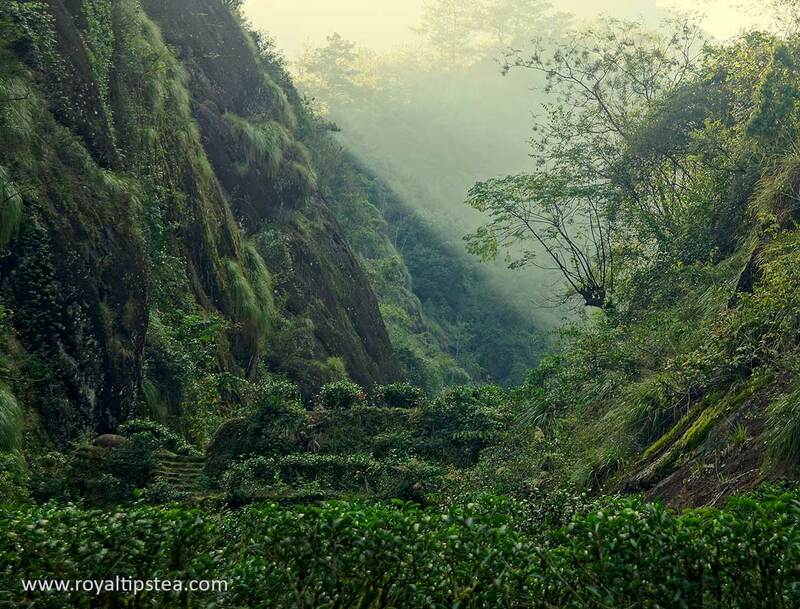 After drying, the highest quality, artisan-crafted oolong teas are usually baked over charcoal. The roasting helps to preserve the leaves for a longer time and contributes to the complexity of taste and aroma of oolong teas. It also reduces the level of caffeine in tea. Because the leaf was only damaged around the edges, the oxidation does not occur so quickly and a good amount of the original polyphenols are preserved after fixing. Thus, the oxidation of oolong teas is only partial, and less oxidized varieties retain certain characteristics of green tea. Oolong teas have been shown to have a positive effect on improving the metabolism and reducing the levels of lipids in blood, which can prevent obesity, cardiovascular diseases and atherosclerosis. Although they have less anti-oxidative power than green teas, oolong teas are milder for the stomach. Besides, they can act as a natural relaxant due to the high volume of aromatic volatile compounds developed during tea manufacturing.